Glow Baby - Baby's First Journal Review - Contest! The cutest thing arrived in the mail today! I know when I had Amber my head was spinning - I was 20, new mom, totally unsure of what I was doing and had tons of questions for my mom. This would have been so handy to have by my side, almost like an extra hand to just note things in. I breastfed Amber for awhile and then we switched to bottles - we had to watch her intake as she wasn't getting enough at first to wet her diapers... that didn't last for long lol she was one chunky baby! As a mom of a 13yr old and trying to get pregnant again - I know I'd need this to help me through again. Keep me on track, for others helping out - especially for dad to keep up. When Amber was little I did have a piece of paper that I wrote on and it always seemed to get lost or I'd stick it on the fridge and it would get covered up or got lost easily in the diaper bag. Not this! It's large enough to write in and see what you actually write lol - the hard cover won't tear off and neither will the pages inside. It's durable, large enough to be seen in a diaper bag and extremely mom friendly - to both breastfeeding and bottle fed babies! My thoughts immediately went to babysitter issues - this would be perfect to leave on the counter and have them fill out while I'm out and about - that way I can see what happened while I was gone. Or detailing information that happened that day - first laugh, rolled over - and be able to go back and record it the baby book when you have time. Even with a double sided contact page - all your numbers for baby are at your fingertips. Founded in Toronto by Lindsay Harris, Glow Baby is dedicated to providing unique and user friendly scheduling tools for today’s busy parents. As a mother of two young daughters, Ainsley and Juliet, Lindsay quickly came to appreciate the difficulties of caring for a toddler while at the same time making sure the needs of her newborn were met. One of the first tools Lindsay developed to help her through this difficult period was a tracking log for Juliet’s basic needs such as feeding, sleeping, diapering and bathing. The tracking enabled Lindsay to better understand Juliet’s patterns and to support a schedule that made everyone’s lives easier, while at the same time reducing stress. Lindsay felt very strongly that every mother, whether they were having their first child or their fourth, could use a similar tool to help them through those tough first few months. As a result Baby’s First Journal was born. Glow Baby is continually adding new and innovative organizational tools designed to help parents at every stage of parenthood simplify their lives. 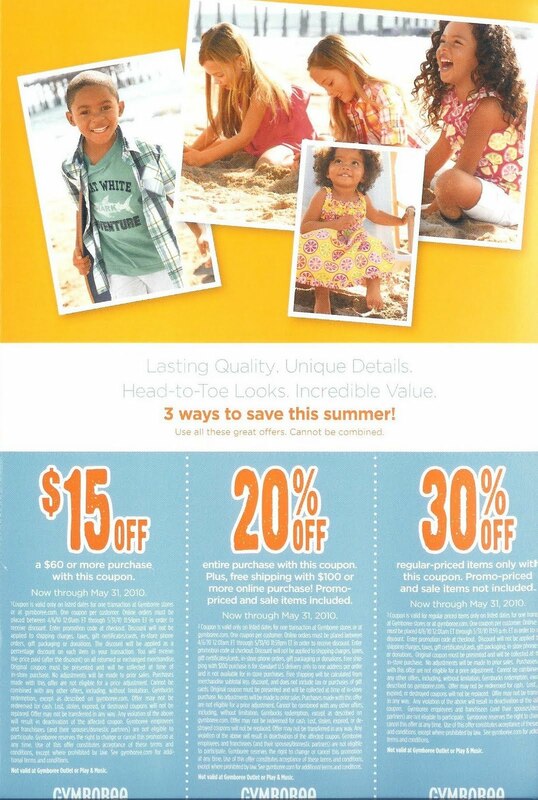 Please visit again soon as we add additional products to help families in a fun and stylish way. Think that this fits right into your mom world or know a mom-to-be that would love it or other Glow Baby products - Then we have a coupon for you to use! Get 20% off with code 'Gymbo' - expires at the end of May 2010. Visit the GLOW BABY website to place your order now for Baby's First Journal. They are only $13.59 in USD - Be sure to use your coupon! Visit GLOW BABY and tell me which product you'd love to have and why it would work for you, remember to post your email and name with your comment - one entry per person! Drawing will be held on 5/7/2010. For 80 years, Pine-Sol® Brand Cleaner has been making a powerful difference at home by cleaning America's toughest grease and grime. Now they are encouraging women everywhere to make a powerful difference outside the home as well. Since Facebook is such a powerful social networking community, Pine-Sol® has launched the Powerful Difference™ Facebook Page at www.facebook.com/PowerfulDifference, allowing fans to connect with and get inspired by other difference makers. There, you'll find an easy-to-use Facebook application which allows you to display on your Wall the five women who have made a powerful difference in your life, helping inspire others to do the same. Honor someone you know today at http://apps.facebook.com/powerfuldifference/. 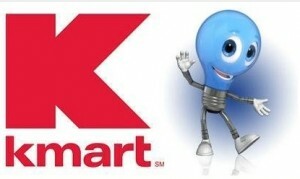 You can also learn more about the program and get ideas on how to take action by visiting www.PowerfulDifference.com. As someone who knows just how powerful our mom community can be, I'm asking you to help in spreading the word about a movement that is designed especially to celebrate the bond between mothers and daughters and create a cure for a disease that I know has impacted many of us personally. I'm proud to support the She Colors My Day project and I hope you'll join me in spreading the word about this important initiative. The She Colors My Day project began when a mother named Annette, dying of breast cancer, created a keepsake for the four daughters she was preparing to leave behind. Annette sent a c.d. of she and her daughters singing to her many friends and family. Unbeknown to Annette, her act of love would be the inspiration for her friend, Cristina Carlino, founder of Project Miracle, to ignite the She Colors My Day movement - a celebration of the never-ending bonds of mothers and daughters. The now worldwide She Colors My Day movement embarks upon a global journey to create for a cure. Inspired by a mother's infinite love, this ever widening circle of caring will benefit the Susan G. Komen for a Cure ® Foundation and the Entertainment Industry Foundation's /Women's Cancer Research Group biomarker project. Hear the story in Cristina's own words here. Color With Us- We can start by taking the first steps to coloring someone else's day through a platform we all know well- Facebook. The She Colors My Day pink crayon is a Facebook application created to be shared with those we love. The pink crayon can be virtually passed around on Facebook so we can all help to create for a cure. Sing Along- The "She Colors My Day" song co-written by Cristina Carlino and Stuart Mathis for Cristina's daughter has been recorded by multi-Grammy award winner, Amy Grant. Download the "She Colors My Day Song" and video and help to support this organization. A portion of net proceeds from the song supports the She Colors My Day project, benefiting Susan G. Komen for a Cure ® Foundation and the Entertainment Industry Foundation's/Women's Cancer Research Group. Spread the Word- The ultimate goal of the "She Colors My Day" project is to support mothers and daughters and create a cure. If you're inspired by this project, please help us share the love by publishing a post on your blog this week that celebrates the special mother/daughter relationships in your life. I was just talking about school photos the other day... Amber had her fall pictures from school arrive and I couldn't figure out how many to order, sizes, packages... I opted for the CD! Why? Cause I can do what I want with them and they are archived forever... yes I'm insane and even have her christmas pictures with Santa on cd as well (well starting from the years the offered them). I'm not a scrapbooker, hardly lol, but I'm in love with pictures. 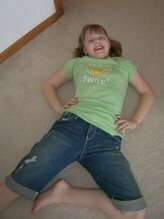 I like to remember when, see how sweet her smile was when she was little and compare it to how she sparkles now. I have pictures all over the house - down the hallways, in the entry way and even collaged by the TV lol. I still remember getting the pageant like dress from my mom in BRIGHT gold and wondering how 'this dress' will photograph. I was so sure it was going to be a playdress and be the end of it after the session at sears. But I was surprised... as her little bare feet graced the floor and she was all dolled out in the sparkling dress... she scooted up to the carousel horse and just smiled. The photographer was thrilled with her... and its been my favorite photo session/pictures since! I think it got me hooked cause we've done several since... we've even done freebie sessions after shopping at the mall and being approached to just stop in and take a couple for a new trainee. They ended up being her easter postcards! (you can see them in the collage below - the purple top and easter eggs). Ok so you now know I have a love of photos... but sharing them with family so far away was getting tricky. I'm sure you know what its like to be on the phone with your mom/family and say 'ok I have this one that looks like this and how many do you think you want of it and in what size... yadda yadda yadda'... yeah it doesn't work so well. My dad is tech savy - my mom not so much - but with the CD's I was able to get at the sessions I was able to upload them (Yep to Vistaprint) and have my mom see them, pick her favorites and order to her heart was content. It meant a lot to have her involved too; almost like having her right by my side. I now do it with all our photos - the digital camera just uploads and 'Voila' she can see them immediately and pick the ones she wants. Okay enough sappy stuff and my babbling... Wanna see our pictures?? These days it seems we all keep our photos online. However, there’s nothing like having hard copies of your photos to share with your friends & family! 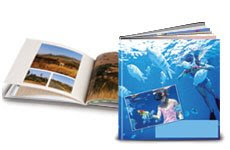 Vistaprint is offering your readers an opportunity to win a personalized, 12 X 12 Photo Book. The winner can choose from hard cover, leather cover or linen cover. 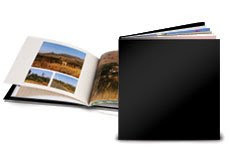 It includes 26 pages and a variety of layout and design options and free 14-day shipping. The value of the giveaway is over $50. How to enter? Go to Vistaprint.com and tell me what product you would choose for Mothers Day this year... Put your entry below with your answer and email address - One entry per person. Want another entry? Blog about this contest and leave your blog address and email address - one entry per blog allowed. Contest will end on April 30th - Have fun!! All thanks to Team Mom! These were sent out randomly to customers (I didn't get one lol) but thanks to Melissa we have pictures. New Lines pictured! 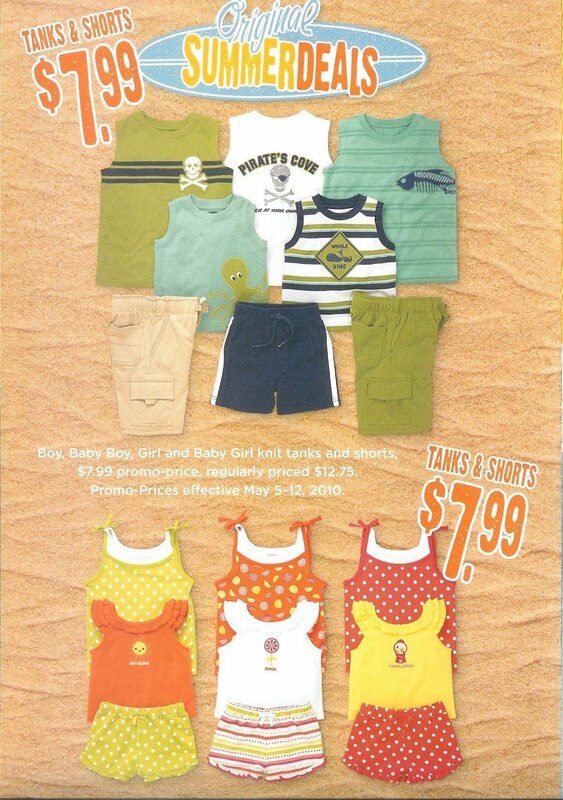 Summer Deals from 5/5 - 5/12 - Tanks and Shorts regularly priced 12.75 will be $7.99. Winner of 'TheHappyCloset.com - Closet Dividers' - Congrats Janelle!!! Jaina's Mom Blog - Win a pair of Eleven Shoes! Check out Jaina's Mom Blog - Chance to win a pair of Eleven Shoes!! Now that spring is finally here and summer is right around the corner, it is that time to get your toddler the perfect shoes for the warm weather. Eleven "Shoes for little Travelers" has just released their new Spring/Summer collection of shoes. Eleven Collection shoes are a sister company of See Kai Run, offering the perfect shoe for every occasion. We were sent a pair of Eleven's Chloe shoes in pink. I could not believe my eyes when I opened the box. They were the cutest shoes I have ever seen. My mom always told me the best thing you can ever do, is take care of your feet. Which means, wear quality shoes. Eleven Shoes definitely meet this qualification! The quality was superb. 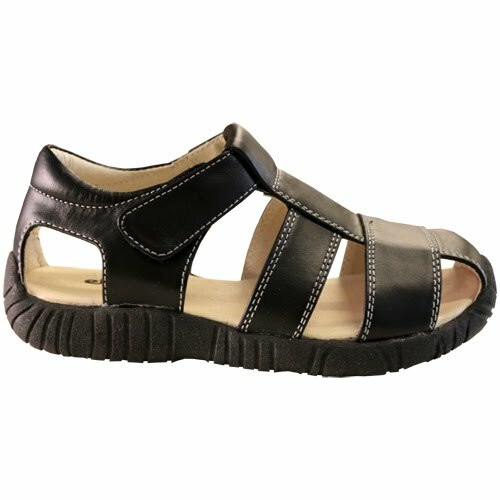 Soft flexible leather with durable soles for active toddlers. Jaina is a very active toddler, and is consistently wearing out her shoes. From what I can see from the quality of these shoes, is Jaina will grow out of them long before they could have a chance to wear out. Which will be sad, because they are just so darn cute! 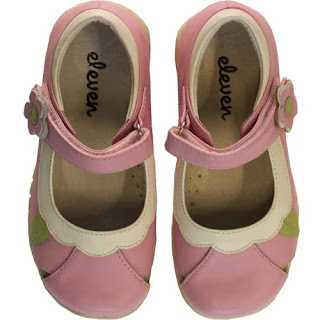 Eleven Collection shoes are available in whole sizes (9-3) and are great for children ages 3-8. Not only do they have girls shoes, they have a large selection of stylish boy shoes, which I know are hard to find. Here is one I particularly liked, The Rolando in Black Sandals. Flexible, high proportion rubber soles. Easy on/off Velcro closures for adjustable fit. Classic, vintage styles and swank modern accents. Jaina loves her new shoes and has been wearing them everyday. She would sleep in them if I would let her. The Eleven collection shoes are a high quality, stylish shoe and I would highly recommend them. GO TO Jaina's Mom Blog TO COMMENT AND ENTER THE CONTEST FOR A PAIR OF ELEVEN SHOES!! The Happy Closet Review - Win One! 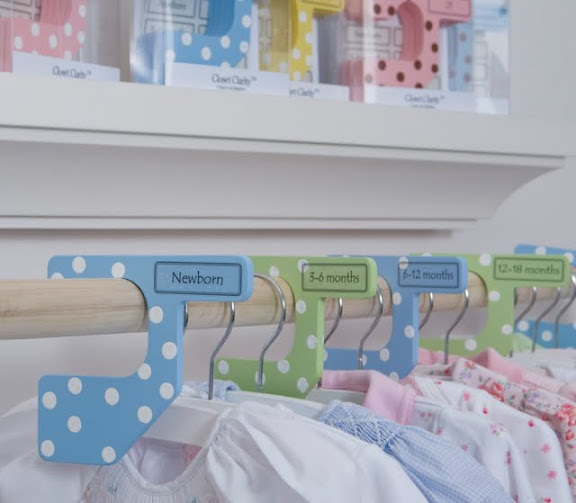 Our Closet Dividers separate your little ones clothing by size or category. Each set comes with five dividers, eighteen pre-printed removable labels (Newborn, 3 months, 6 months, 9 months, 12 months, 18 months, 24 months, 2T, 3T, 4T, Dresses, Short Sleeve, Long Sleeve, Sweaters, Pants, Jackets, Summer and Winter) and two blank labels. Our removable labels allow you to change the sizes and categories as your baby grows. Our product is painted and polka dotted in a variety of colors. Our Closet Dividers were designed to work on both the standard closet rod and wire shelving systems and our patent pending design allows you easily see the label as soon as you open the closet. We know that you will enjoy your Closet Dividers and that when you open your little ones organized closet to easily choose an outfit you will feel....well, happy! These are the neatest things! 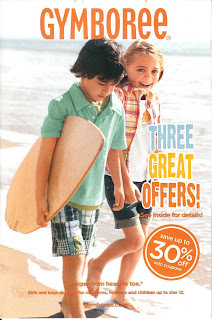 We know how fast kids outgrow clothes - they do it even faster when they are brand new to the world. So when you buy outfits and put them away in drawers or baskets in the closet you forget you have them or they outgrow them by the time you pull them out. So why not hang it all by size and use everything you have!! WIN a set for yourself!! - go to TheHappyCloset.com and post below why you would love it!